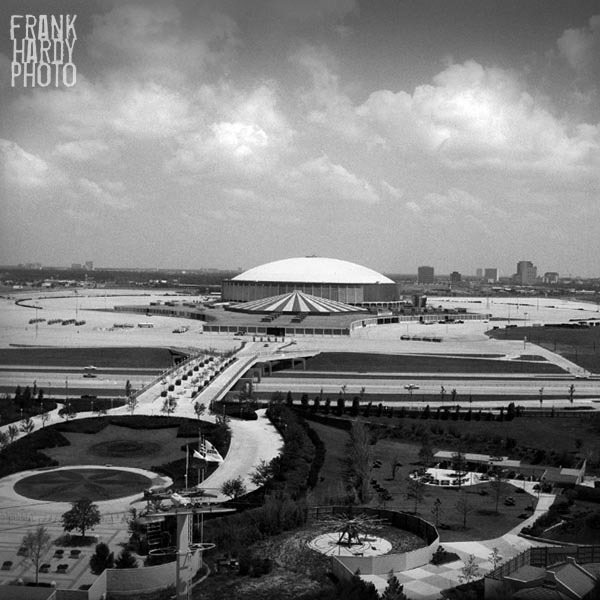 This is a photo my father made of the Houston Astrodome on a trip we made back in the 1960’s to visit some friends of ours. The sky-line of Houston has really changed since this photograph was taken … at least 10 or more skyscrapers are on the horizon now. I have been to several baseball games at the Dome over the years, all back in the 60’s and I can remember how much fun it was. I had been to several games in Chicago to see the Cubs and the White Sox play when we went to visit my dad’s brother, Ben, and I really enjoyed those games so seeing the Astros was a real thrill. Anyone want to make a comment about the AstroDome, feel free.